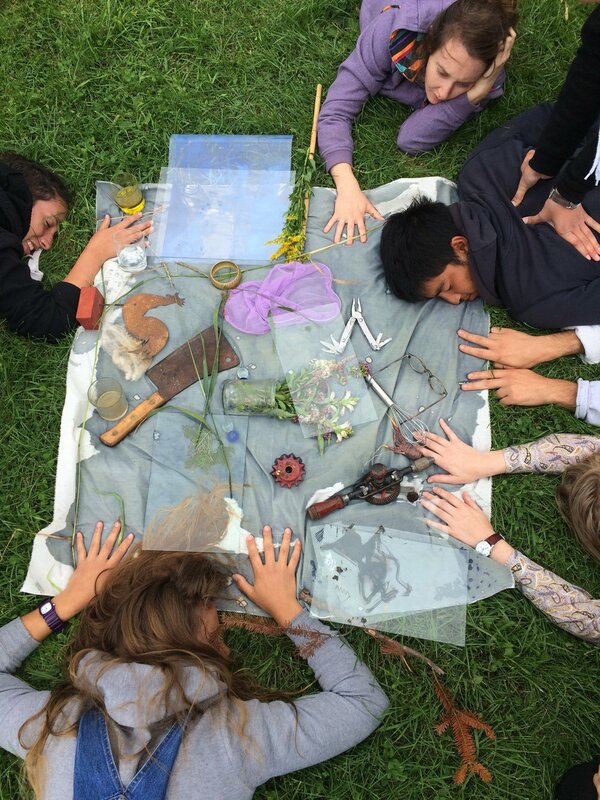 "CAMP (Collaborative Arts Mobility Project) is a week long, summer residency where we will collectively create a space on our own terms to collaborate and focus entirely on art making. We are bringing together anyone who identifies as an artist, giving them time and space to work and asking them, in turn, to contribute to the community. We invite you to join us for the inaugural summer of CAMP. 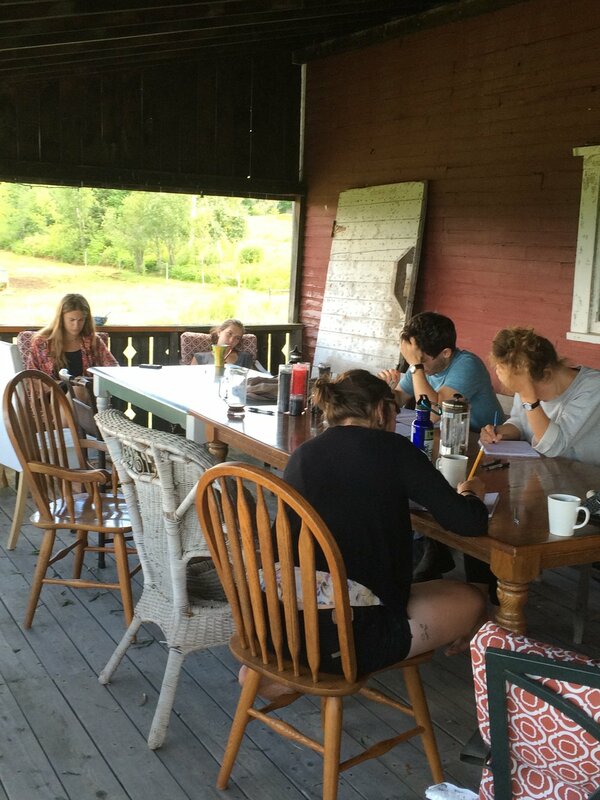 In summer 2015 (8/1-8/9), a group of art makers will join on common ground to learn, develop ideas, absorb inspiration, share works in progress, critique, collaborate and create a long-term supportive community of artists. Based on the concept that each participant carries unique skills and talents, everyone will come prepared with one class, workshop or project to conduct with the group. Days will consist of these “classes” in the morning, work time in the afternoon, and sharing in the evening. 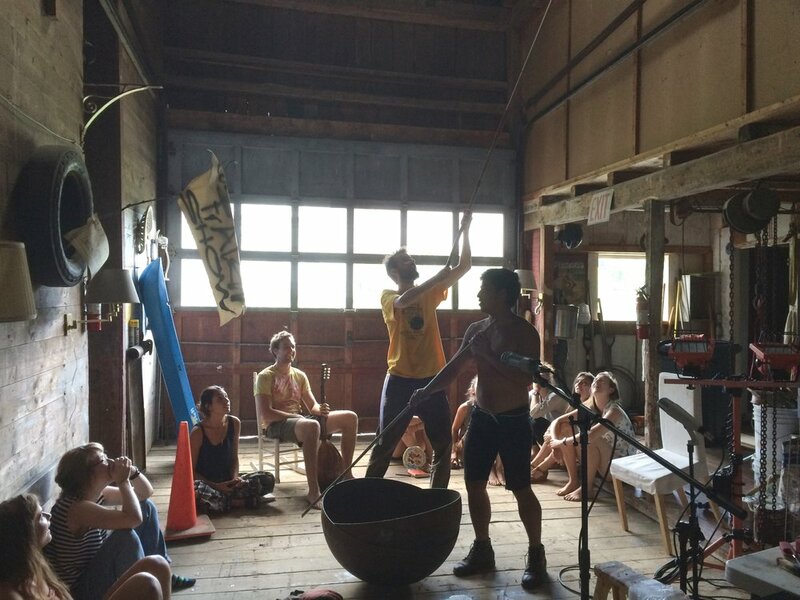 We will cook, eat, play, experiment and absorb each other’s genius through a week of co-operative style living. Why this postcard? This is our official “save the date” for CAMP. We want you to be there, so please plan ahead and start scheming! This is an opportunity to have the time, space, and support to DO ANYTHING. Think about the fact that you will be surrounded by a group of exceptionally creative, supportive friends. It is also a space for you to work on independent projects and develop them among other artists. Think big. This is going to be a MOBILE RESIDENCY (CAMP will be in a new location every summer) and we are looking for its first home. We want to place this event in an epic setting removed from every day life. If you can volunteer a space or connect us with someone who can help- that would save us all some cash! Next Up: Look for more information soon concerning finances, location etc. Contact us at CAMPresidency@gmail.com or visit campresidency.tumblr.com"